The Maldives is a heaven for newlyweds, due to their isolation from the rest of the world and the natural beauty that comes along with it. With multiple options to choose from, it often becomes a bit confusing when it comes to deciding the right destination to spend your most memorable holiday and celebration of a sacred bond, tied to last seven lives. Although there is a wide range of resorts offering a variety of honeymoon vacation deals in Maldives, Komandoo resort in Maldives promises the best services at the most affordable rates for couples all across the globe. The best of its kind, Komandoo Island Resort is located against a channel, enabling an influx of rich marine life, also simultaneously providing with a rare opportunity to swim with Mantas. The breathtaking house reef is nothing less than magic, with a plethora of species residing ancient coral formations. A snorkeler’s paradise in every aspect, even the divers find peace in the royal blue waters. 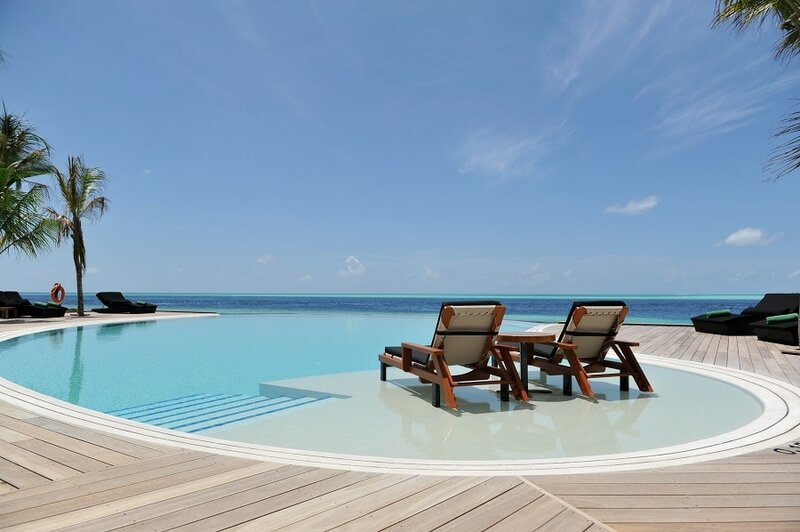 Nothing less than a dream site- the Komandoo Resort in Maldives aims to strive for the welfare of its guests. A 4-star hotel, it is home to 65 villas and is reached by seaplane transfer, which takes about forty minutes from the airport during the day. It has been labelled the fifth most romantic resort by TripAdvisor and boasts of its extremely warm and intimate atmosphere. The most delicious food, consisting of delicacies from all over the world, and the Maldivian cuisine, is served as an attempt to impress the most critical foodies among you. Create memories to cherish over food, and strengthen the sacred bond you have tied for the rest of your life. To keep you and your beloved entertained, we offer a number of different activities for the two of you. On land, you can indulge in a game of chess or scrabble, work yourself out in the gym, or play some badminton or table tennis to create amazing memories with your partner. The water activities include windsurfing, snorkelling, catamaran sailing, parasailing, sunset cruise, deep sea trips, night fishing, and the list goes on and on. You could also explore the group of islands by indulging in island hopping and unravel the secrets that the Maldives hide while you are at it. Your day is completed with a romantic candlelight dinner or perhaps an intimate supper under the stars while you express your love and affection for your significant other. If you are the more enthusiastic kind, we have planned night activities for the two of you. Live music blasting, crab races, disco nights, divers night, movie night, Maldivian night and the Bodu Beru Cultural Dance show are amongst some of the other adventures that are scheduled for the nights that you spend here. Other facilities include a library, Sifani Jewelry Shop, freshwater swimming pool, gift shop and much more. 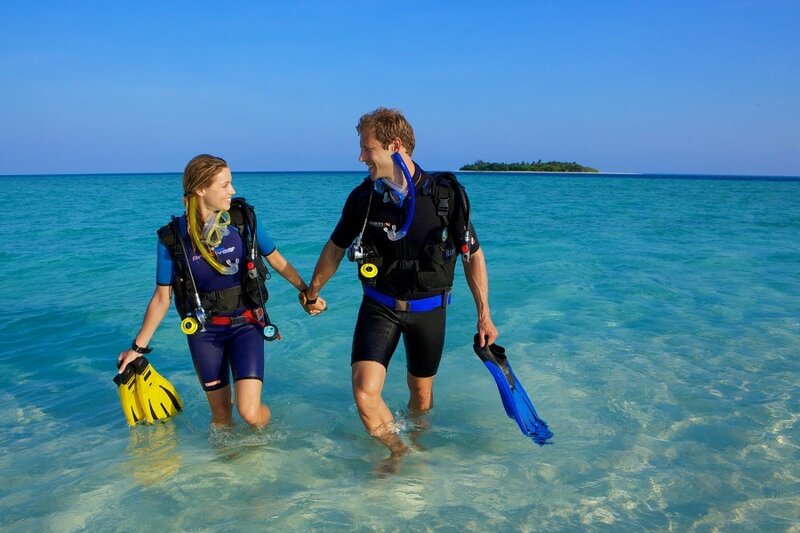 Coupled with heartwarming services, the Komandoo Resort in Maldives is amongst the best for your family and you. Everything is for you to discover and dwell into. For more details, contact Crown Tours Maldives Spend a holiday with us, and remember us in your fondest memories for a lifetime.